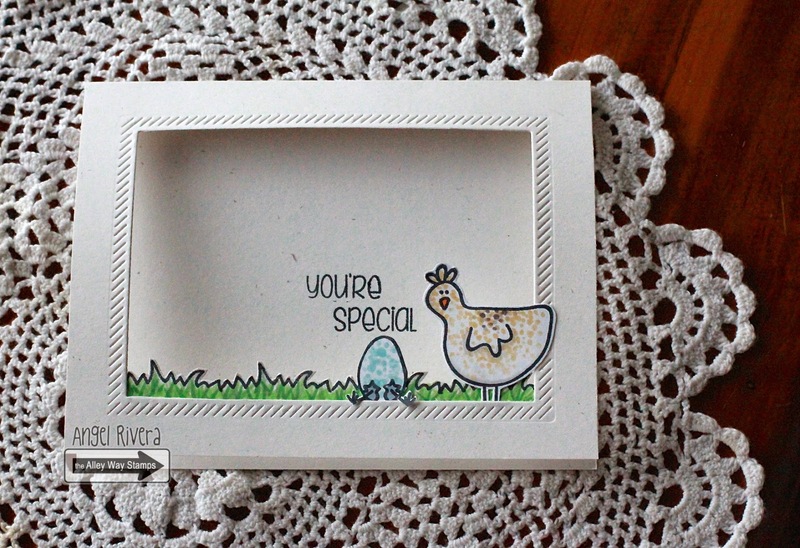 The Alley Way Stamps: Shaker card Video Tutorial! 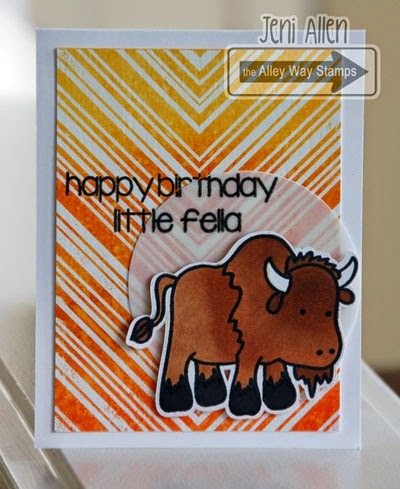 It's Joanna here and today I made a shaker card video tutorial using The Alley Ways stampset Castaways and More Than words. I'm in love with that little cute fish!! Hey there, it's Tanja. Today I have a masculine birthday card for you. I used the new set Wigwam. The sentiment is from Wish Big. Hello!! Jeni here! I have fallen hook line and sinker with this "little fella!" Isn't he lovely!? I think you may be seeing a lot of him in my future!! He is from the freebie set this month, Buff. My sentiments are from Yappy, and my background stamp is called Line Upon Line.